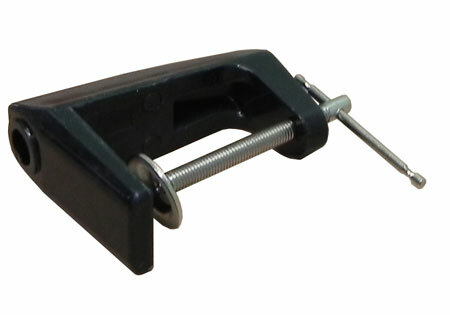 Small black Table Clamp. (#CAPG052B). CAPG052W for mounting white Magnifiers. Magnifying Lamps can be delivered Australia wide. * Desk top, Clamp and Stand alone Floor Lamps available.